Above, Novotny surveys the set. The concrete walls and floors were created by pouring a quarter-inch layer of concrete over plywood. While marble is traditionally painted for film and television sets, Novotny took a different route to save time. 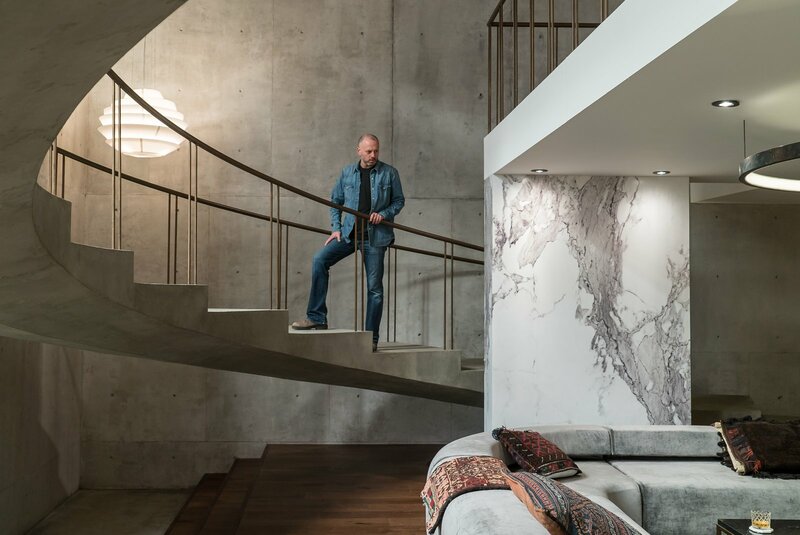 After hunting down the perfect slab of Calacatta marble in a showroom, he hired a photographer to capture a high-resolution image that was then printed on sheets of white plastic by Astek Wallcovering in Los Angeles.